You don't have to be in the depths of despair to appreciate this pouch. As long as you're a kindred spirit, this pouch is for you. Or try gifting it to your bosom friend. Chose from three different fabric combinations. 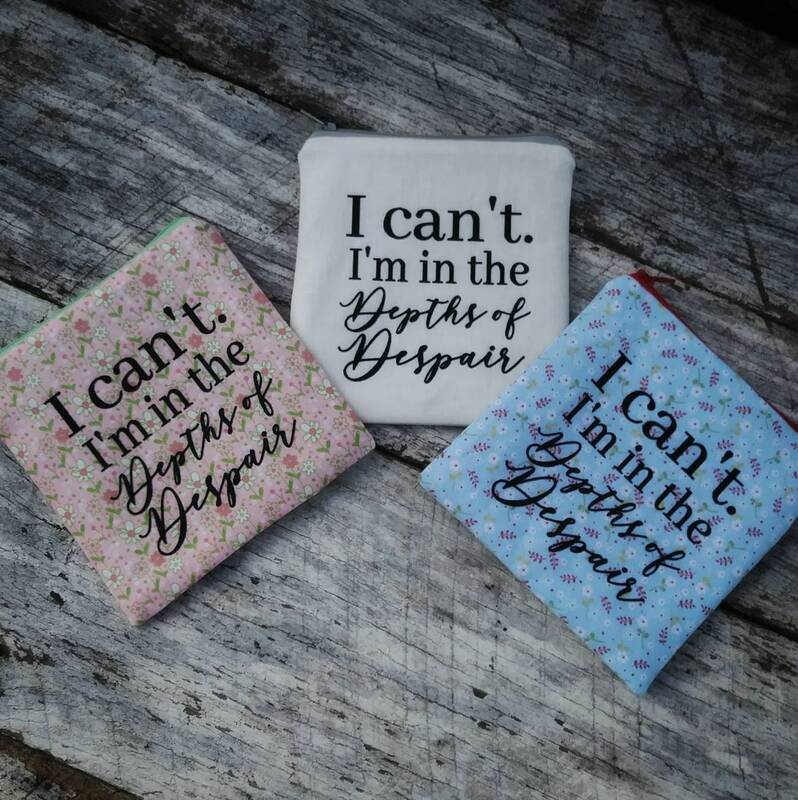 Each pouch has the phrase, "I can't. I'm in the depths of despair." embellished on the front. All the pouches are fully lined with coordinating cotton print fabrics. NWT Cute prints reversible fabric Bible cover, Hot cocoa and polka dots, standard sized. Pink polka dot on reverse. Hot chocolate, winter. Sale zipper pouch random selection, surprise pouch. Grab Bag style sale. Great gift idea.